Oxycodone is an opioid pain medication that often stirs up debate because of its addictive properties—this is why the drug is often abused for recreational use. But when used appropriately, oxycodone can effectively help to manage and relieve pain. The oxycodone drug “OxyContin,” produced by Purdue Pharma LP, is already approved for adults who require chronic pain relief; however, the U.S. Food and Drug Administration (FDA) has now also approved OxyContin for younger individuals between the ages of 11 and 16 who suffer from severe chronic pain, but have not experienced adequate relief from other alternative treatments. OxyContin is reserved for pediatric patients who need daily, long-term pain relief treatment around the clock. The medication is also restricted to children who have already received and responded to some sort of opioid pain treatment (minimum oxycodone dose of 20 mg a day for five days straight), which helps to minimize the risks of taking OxyContin. Unlike other opioid drugs, OxyContin is an “extended-release version” of oxycodone, which means that it only needs to be taken every 12 hours (as opposed to every four to six hours). 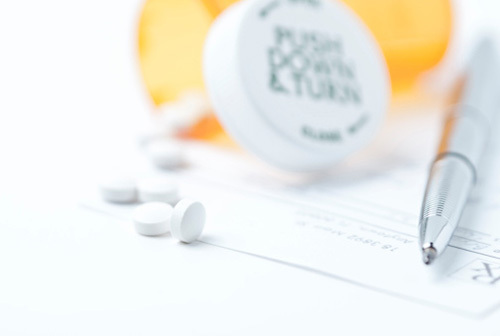 The FDA had requested that the manufacturer of OxyContin conduct thorough studies to evaluate the safety of administering oxycodone to manage pain in such young patients. For instance, the findings from one of the studies, published in the journal Oncology Time, showed that of the 155 pediatric patients assessed (aged six to 16), almost 70% of them experienced “very much” or “much” improved relief from their chronic pain after switching to oxycodone from other opioid treatments. The findings from this study and other similar research are helping to better inform doctors and healthcare providers about how to safely and effectively help their pediatric patients manage their pain. Susman, E., “Slow-Release Oxycodone Eases Chronic Pain in Children,” Oncology Times 2015; 37(16): 10–11. “CDER Conversation: Pediatric pain management options,” U.S. Food and Drug Administration web site, August 13, 2015; http://www.fda.gov/Drugs/NewsEvents/ucm456973.htm.